Spartans like you are taking advantage of many resources during October’s Academic Success Month to help prepare for the future, starting with spring 2018 registration. Your fellow students are using online tools and attending a number of events to get a jumpstart on planning courses for next semester and beyond. 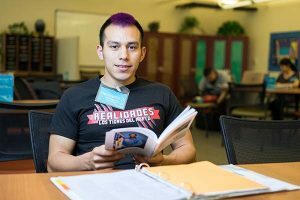 You have access to these resources, too, to begin planning a 15-unit course load that will keep you on track for graduation. 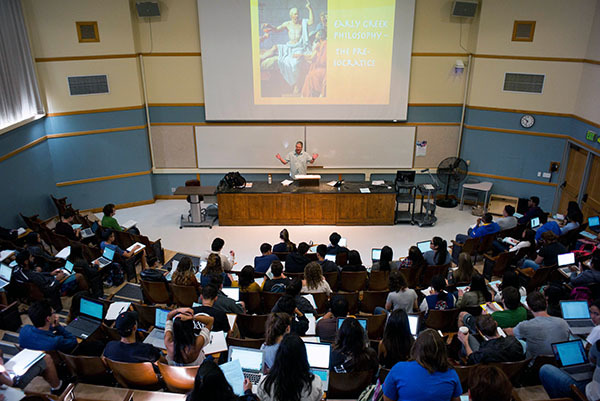 Like many of your fellow Spartans, we hope you find the resources and activities available during October’s Academic Success Month to be helpful in planning your next semester at SJSU. 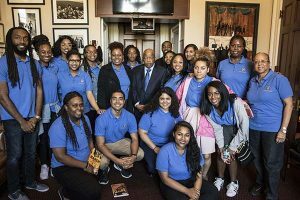 San Jose State Spartans meet with Congressman and Civil Rights icon John Lewis during an alternative spring break trip in March. When they first heard in the fall semester about a trip to the East Coast planned for spring break week in March coordinated by the African American Student Success Task Force, Chelby Gill and Adesuwa Obaizamomwan were intrigued by the academic and professional possibilities. Now that they have completed their first trip to New York and Washington D.C., both students view it as a life-changing experience. They were among a group of 16 students who took part in an Alternative Education Spring Break trip. The students were accompanied by Dr. Michael Cheers, co-chair of the task force, associate professor of photojournalism, and photojournalism coordinator; Jahmal Williams, the interim assistant director of the Peer Connections Tutorial Program and Student Development; Felicia McKee, administrative assistant to the AVP for Strategic Communications and Public Affairs; and alumna Wanda Hendrix, ’77 Sociology, ’94 MPA, a member of SJSU’s Tower Foundation board of directors. Hendrix and College of Social Sciences Dean Walt Jacobs provided scholarships to cover part of the cost for students within that college to participate in the trip. Gill and Obaizamomwan said they viewed a visit to The Studio Museum of Harlem in New York City — one of the nation’s foremost showcases of the works of art by people of African descent — as one of the trip’s highlights. Obaizamomwan, a senior majoring in psychology, said she also loved seeing such famed Big Apple sites as Central Park, Times Square and seeing a production of “The Lion King” at Broadway’s Minskoff Theatre. Nearing graduation and because of her interest in attending graduate school to pursue politics and public policy, she was also excited to tour the American University campus in Washington. But spending time in the nation’s capital with John Lewis — the 77-year-old Civil Rights icon who suffered a fractured skull while participating in the famed 1965 “Bloody Sunday” march in Selma, Alabama and has served as a member of the House of Representatives from Georgia’s Fifth Congressional District for the past 30 years — was a once-in-a-lifetime honor, both said. Obaizamomwan said Lewis talked a lot about his activist past, connecting it to the students of today. Along with being a living legend, the Congressman is also very much of the current day. After all, he attended the annual Comic-Con International convention, the pop-culture entertainment and comic gathering in San Diego, two years ago to promote his Civil Rights trilogy and illustrated memoir “March: Book Two” released in 2014. “He took selfies with us,” Obaizamomwan said of the meeting with Lewis in Washington. That longer-than-expected meeting between the SJSU students and Rep. Lewis was months in the making, Cheers said, of coordinating the meeting. After getting no response to his initial round of emails to Washington D.C., Cheers took a different tack. The meeting ended up lasting far longer, even as Lewis’ staff reminded him of other appointments in his busy schedule. The trip to Washington was a bit of a homecoming for Cheers, who attended graduate school at Howard University. Howard “rolled out the red carpet” for the SJSU students when they visited the historically-Black university campus during an hour-long presentation of its graduate programs. He said he hoped it would spark an interest among students to look into graduate programs at historically-Black colleges and universities, located in the East and South. The visit also allowed students to connect with successful Spartan alumni. They met with Robert R. Rigsby, a 1983 SJSU graduate who is now an associate judge on the District of Columbia Superior Court, and Bayo Junyor, a 2012 SJSU graduate who went on to earn a master’s degree from New York University, and is now a science teacher at Ascend Middle School, a charter school in Brooklyn. Cheers said he feels it’s important to get SJSU students out of their “Bay Area bubble” and into the larger world.